Imagine the following scenario. You’re a boss. And you’re looking for an ambitious executive: someone who will understand your company’s ethos and help it fulfill its potential. So you place an advert, interview candidates, and then employ someone. Simple, right? Well, maybe. But what if that person – who looked so good on paper – isn’t very good in practice? Then you have a problem, don’t you? This common situation can be avoided, however, with the help of ‘employee benchmarking’. This is a way of assessing candidates, and asking each one a selection of questions that reveal their strengths and weaknesses. Similar principles can be applied to customer surveys, which demonstrate how you stand up to the competition. If you find that 90 percent of people are ‘very satisfied’ with your service, for instance, then you’re doing something right, but you still have room for improvement and a goal to work towards. But how do you know what questions to ask? Which ones will find you the perfect person? Well, that’s where a recruitment company can help – with invaluable advice and expertise. Collingwood, for example, specializes in executive searches and talent management. And they believe that interviews used on their own are not reliable. By studying your company and its needs, and going the extra mile to gain a greater understanding, they can provide you with assessments for new recruits or current staff. Collingwood also supplied aptitude and ability assessments, which were a measure of ‘mental horsepower’ and determined whether a person could think on their feet; be a high-flyer; or a problem-solver? All the assessments are registered with the British Psychological Society (BPS), meaning that they meet psychometric requirements for use as a psychological assessment tool. The results were very positive. Employees were seen in a new light, and one of the most pleasing outcomes was that the process uncovered some talented individuals, who had previously remained under the radar. This is just one story that shows the benefits of ‘employee benchmarking’. It’s common sense really. If you want your company to improve, then you need to have an accurate way of measuring performance. Without it, you have to rely on your gut instincts, which aren’t always right. But with it, you have a solid foundation for making the best decisions. 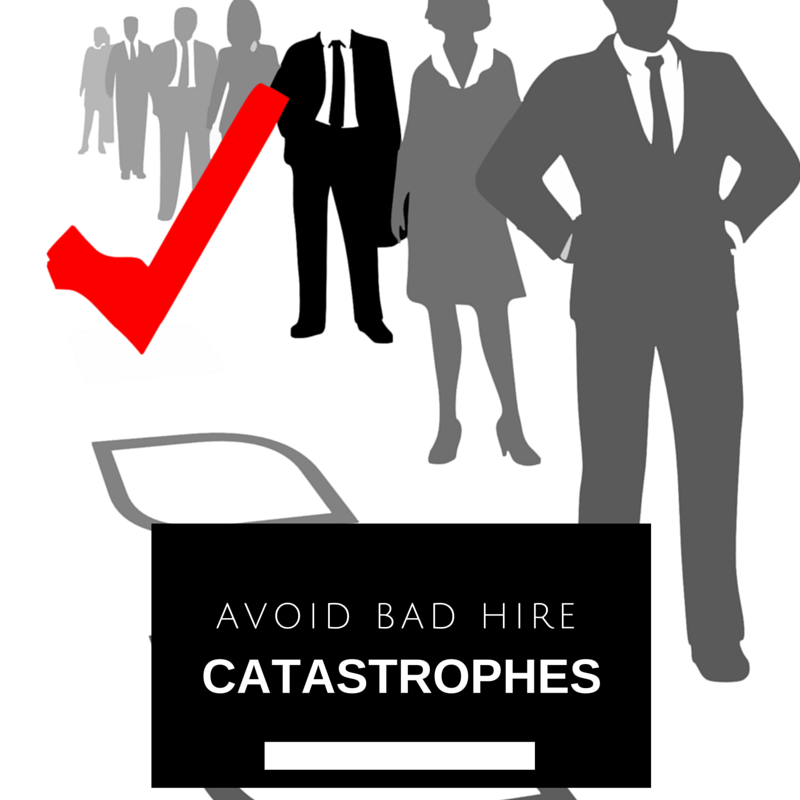 The repercussions of a bad hire include time, money and lost productivity for the company. So take the time to find the right candidate from the get go, instead of just trying to fill an empty position with a warm body or as quickly as possible.